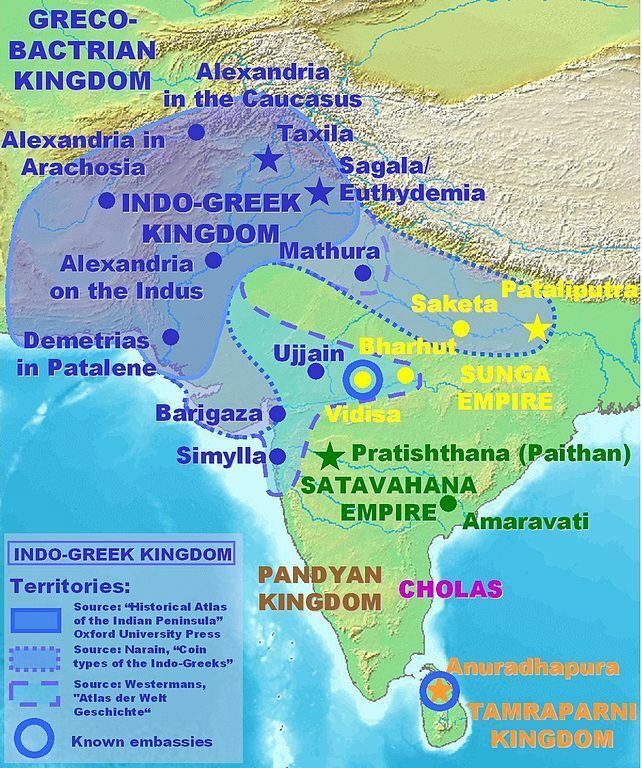 The Indo-Greek Kingdom was a Hellenistic kingdom covering various parts of the northwest regions of South Asia (mainly modern Afghanistan and Pakistan) during the last two centuries BC. It was ruled by more than thirty kings, often in conflict with each other. The most famous Indo-Greek ruler was Menander (Milinda), who had his capital at Sakala in the Punjab (present-day Sialkot, Punjab, Pakistan). The Indo-Greeks ultimately disappeared as a political entity around 10 AD following the invasions of the Indo-Scythians, although pockets of Greek populations probably remained for several centuries longer under the subsequent rule of the Indo-Parthians and Kushans.